African Grill & Bar is an African restaurant with a fantastic bar serving brands of beer you've likely never heard before. The food here is outstanding, and not a cuisine you're used to seeing in restaurants. 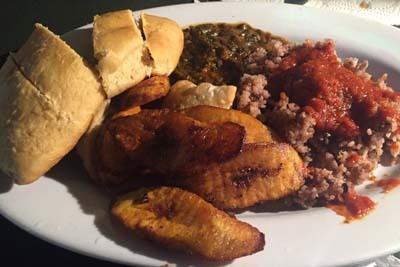 Here, you cannot go wrong with the Beef Triangles, Samosas, Curry Jerk Goat, Rice and Plantains, Beef Stew, and delicious Tilapia. The owner will greet you at the door and give you suggestions on what to order. As soon as you walk through the doors and smell the delicious offerings of food, you'll know you're somewhere special. 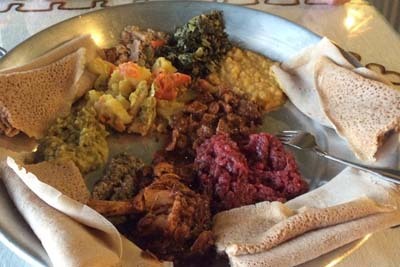 Queen of Sheba is an Ethiopian Restaurant in the Montbello area that has delicious Ethiopian beer and honey wine, two alcoholic beverages that you don't usually find in the area. The menu is deep with many different options as far as appetizers and entrees, and we think you're really going to enjoy the vegetarian combination platter if you're somebody who doesn't usually eat meat. The collard greens are always made perfectly here, the chef is a nice older woman, and the atmosphere here is always super inviting and friendly no matter what. 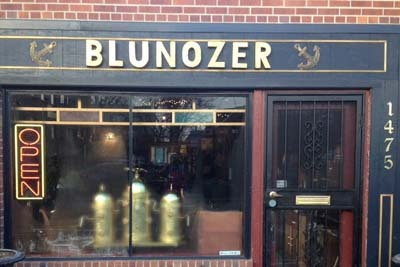 Blunozer Cafe is a coffeeshop that is known for their homestyle food and kitschy interior. The decor is something that can best be described as antique, while the food can be described as out of this world. Della and Dorothy are the owners here, and you'll get to know them better before you leave. The Pulled Pork Breakfast Burrito is the perfect way to start off the day, while the homemade pastries offer something for those who happen to have a sweet tooth. The quiches are another great way to enjoy breakfast, so come out and enjoy this cozy spot. 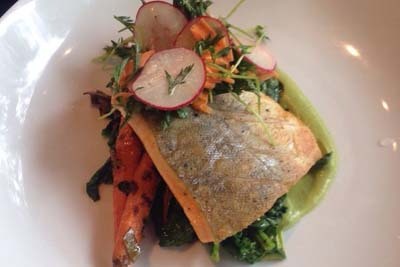 Tables is a modern American restaurant that has some of the fanciest selections we've seen in the area. You can't leave without trying their Double Chocolate S'mores Graham Cracker with Marshmallow & Chocolate Sauce, it's the perfect dessert that reminds you of camping as a child. As far as savory selections go, the locals can't get enough of the Scallops with Risotto, Tuna Tartar, Roasted Beet Salad, Sweetbreads with Smoked Bacon, and the delicious Prime Rib. What you will remember most about this restaurant is the service. 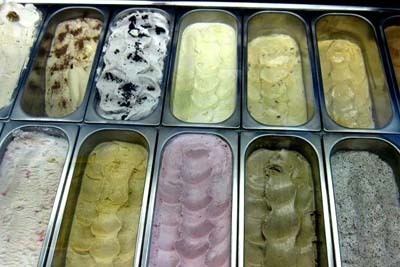 Have you ever tried Gelato before? It's almost like the smoother cousin of ice cream. This gelato is made with all natural ingredients, so you're enjoying organic sweet treats. It makes you feel a little bit better about straying away from your diet! Some of the flavors here include Hazelnut, Lavender, White Coffee, and Rocky Road...but you'll have to come in to see what they've made fresh! It's going to be hard to choose just one flavor, so be sure to ask the staff if you can try out a couple of samples before deciding. Chop Shop Urban Eatery is a contemporary restaurant that had a great modern feel to it. 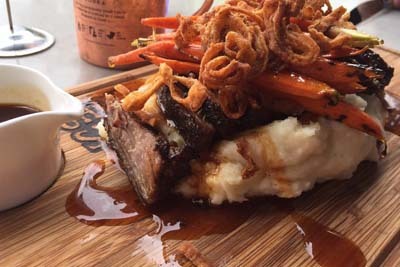 You're going to enjoy hearty, gourmet food that gets to your table in less than 15 minutes, so this is a great option if you're looking for a quick lunch on your break. There are all types of food options from innovative to comfort, so you can feel confident bringing any of your family or friends here. This is a destination where you order at a counter and they bring it out to you. The quick dining atmosphere is the new restaurant trend!